More information about the benefits of the right baby carrier; for both yours and your baby’s comfort. 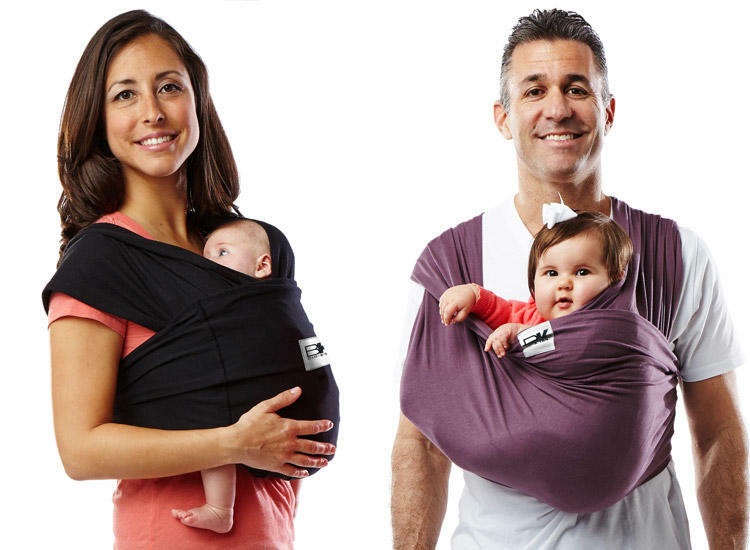 Carrying scarf/wrap: this technique is for all parents wanting a carrying method that respects the physiology of their baby. It can be used from birth until about 2/3 years old. Parents can wear it at the front, back or on the side. The only drawback to this method is that it can take longer to put on and get ready. The baby’s hips should be in frog-like or “M” position. The knees should be higher than the buttocks in order to respect their natural body posture and prevent hip dysplasia. The baby’s back should be rounded. To achieve this, favour frontal carrying until the baby is 6 months old. The fabric must support the baby’s head in order to avoid neck extension until the baby acquires sufficient muscle strength for head support (4 to 5 months old). In addition, the head and spine should remain aligned to avoid any muscle tension. Also make sure that there is enough room between the chin and the chest to avoid any respiratory problems. The baby’s hands should be in front of him/her against your chest, keeping their arms and legs together. This promotes a sense of safety. The baby’s height should be just under your nose. The baby carrier must be adjusted to each user, the belt properly positioned on the lower part of the back, at the beginning of the pelvis and not under the ribs. Avoid asymmetric carrying (on the hip or sling type) in order to avoid tension in your back. A good distribution of the baby’s weight on the carrier’s shoulder/back/pelvis will ensure his/her comfort.